Need an easy way of transporting your luggage to and from Kent University? My Baggage can help! 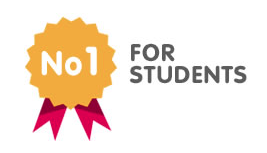 My Baggage is the No.1 student shipping company for Kent University students. We offer a fast, reliable and affordable student shipping service across the UK and throughout 200+ countries worldwide! 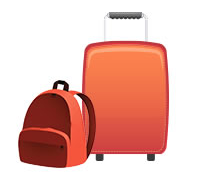 We help transport luggage for thousands of students every single term. Kent University offers students a unique, global learning experience. Kent is known as the UK’s ‘European University’. With campuses in Canterbury and Medway, as well as specialist postgraduate centres in four European capital cities: Athens, Brussels, Paris and Rome. My Baggage is the cheapest and most convenient way to transport your luggage to and from your accommodation at Kent – whether you’re studying in the UK campuses or the European campuses. Forget the stress and expense of booking your excess luggage onto an airline, and forget the inconvenience of carrying heavy bags with you on public transport. My Baggage offers an excellent student shipping solution. Everything is done online, from the booking to the payment, and it couldn’t be easier. Simply start by getting a quote on our homepage. 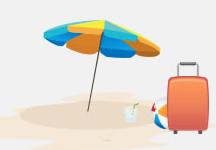 Enter your luggage weight and size, as well as your address details, before completing your booking by making your payment through our secure online payment system. It’s that easy! Once you’ve booked, you will be given access to full online luggage tracking, as well as SMS and email notifications. You will be able to monitor the step-by-step progress of your shipment as it makes its way to its destination. Fast delivery times within the UK and worldwide. Easy and secure online booking and payment system. We will collect your luggage straight from the front door of all houses, student houses, flats or apartments and deliver it straight to your address at Kent University. If you are living in Kent University halls of residence, we will collect from and deliver to the halls of residence reception area or designated postal room. Please check the whereabouts of these locations, as well as the policy on luggage collections/deliveries, with your student accommodation before you place your My Baggage booking. 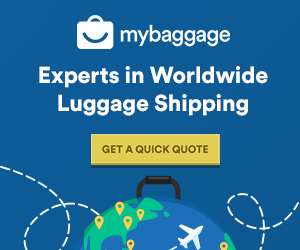 My Baggage provides £100 free compensation cover on every single shipment. If you need to, you can increase this value right up to £1,000 for a small additional fee during the booking process. At My Baggage, we understand that you don’t want to be waiting around for your luggage when you’ve just moved to university. That’s why we offer the fastest shipping times on every single one of our routes. My Baggage offer 1-2 day delivery within the UK and 3-4 days for international shipments. We even offer an Express service for both domestic and international shipments – so you won’t have to wait long for your items to arrive with you safe and sound. If you are an international student studying at Kent University, or perhaps you’re a postgraduate student off to study in one of the European campuses – My Baggage can help you transport your luggage. We offer collection from and delivery to 200+ countries worldwide. My Baggage offers incredibly cheap prices with students in mind. You can send a box or suitcase weighing up to 30kg for as little as £16.99.